In 2007, Karen Toennis received an unexpected phone call. On the other end of the line was Dr. Stanley Appel, the neurologist who cared for Karen’s husband, Mike, during his 13-year battle with ALS. They had not spoken since Mike’s passing the year before, but Dr. Appel had a question for Karen. The job offer came as a surprise, and initially, Karen hesitated. After giving it some thought, Karen took the position. It would be a life-changing decision. Eleven years later, Karen is working her dream job as ALS coordinator for Dr. Appel’s clinic at Houston Methodist Hospital. 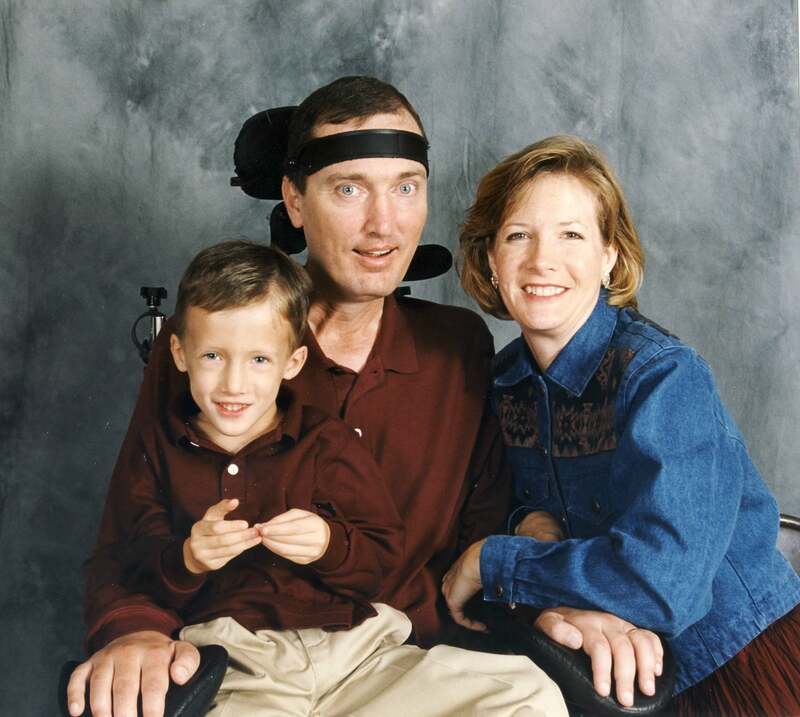 The clinic, which has a long partnership with MDA, holds a special place in Karen’s heart, as it played an instrumental role in providing Mike with quality care during his journey with ALS. 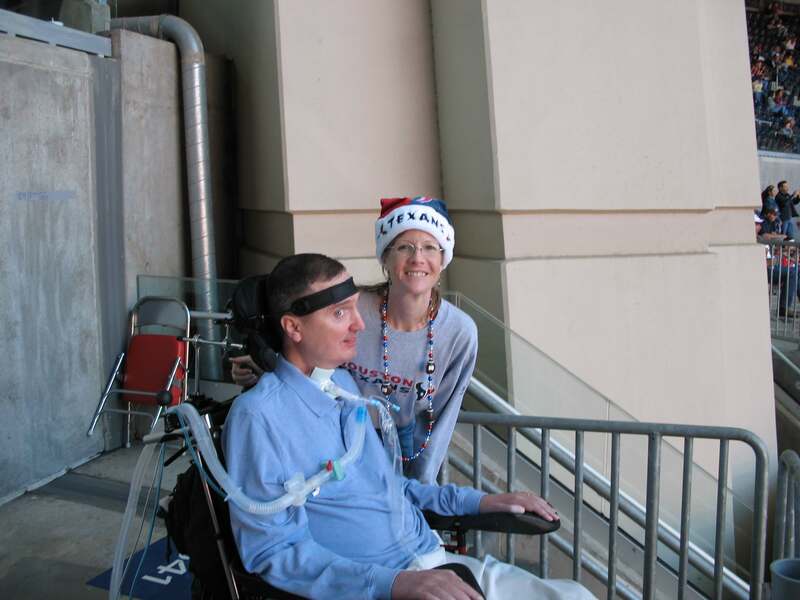 Karen and Mike’s lives changed in 1992 when Mike, at the age of 36, started to experience symptoms of what would be diagnosed a year later as ALS. 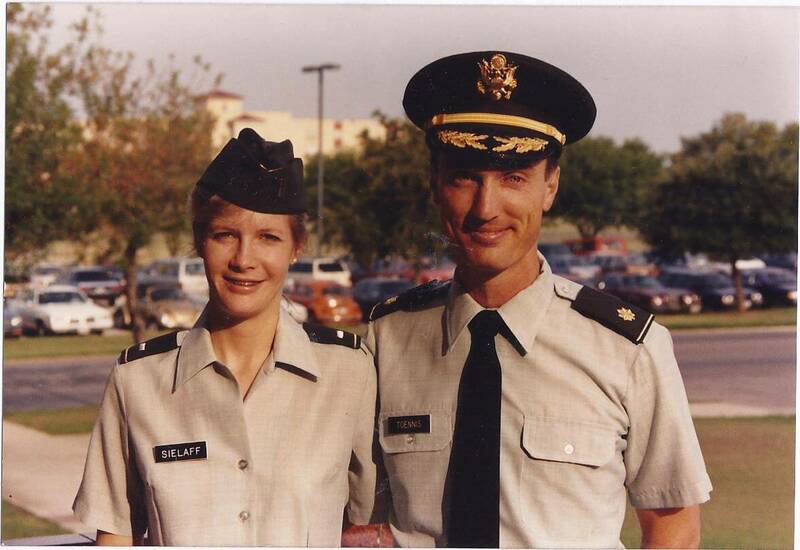 Both Karen and Mike served in the armed forces — Karen as an army nurse and Mike as a helicopter pilot. It was this military connection that ultimately led them to Houston Methodist. It was a devastating diagnosis for the Toennises. Karen, who had only recently left the military to become a neonatal and pediatric ICU nurse, decided to leave her job and care for her husband. In addition, they decided to start a family, and in 1994 Karen gave birth to their son, Joseph. As Mike’s condition deteriorated over the next several years, Karen assumed the dual full-time roles of caregiver and mother. During this time, the MDA clinic at Houston Methodist proved to be a welcome resource, with one MDA employee in particular providing crucial support to the family. Although Mike ultimately passed away from ALS in 2006, Karen is thankful that he was able to survive with the condition for 13 years. She gives a lot of the credit to the care he received from Dr. Appel and the ALS clinic. To show their gratitude, the Toennises often participated in fundraising during the annual MDA Labor Day telethon. 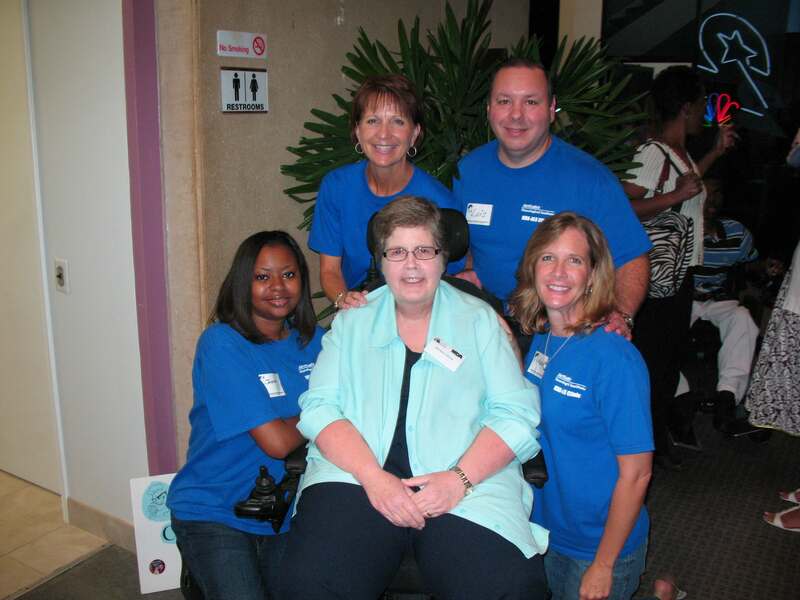 With the memories of the support her family received from the ALS clinic still fresh in her mind, Karen embarked on her new role as ALS clinic coordinator at Houston Methodist in August 2007. After 11 years there, she still finds it the perfect fit. In her day-to-day, Karen has many responsibilities. 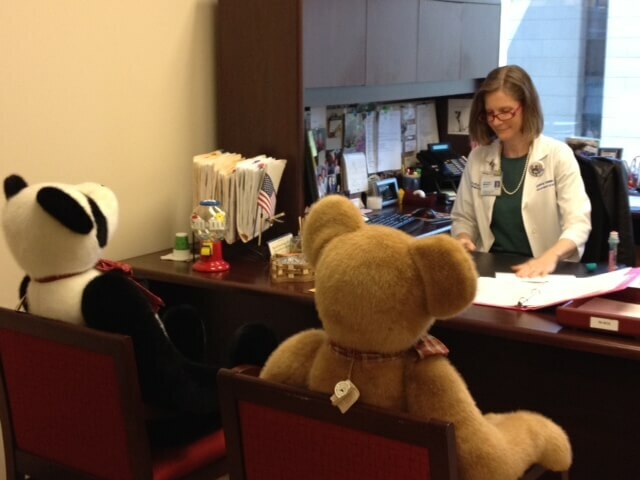 One of her favorite aspects of the role is managing the monthly ALS clinic days, where patients from all over Texas and the United States come to receive multidisciplinary care from Dr. Appel and other specialists. It’s an opportunity for ALS families to come together and check in on one another. When talking with patients, Karen frequently draws on her personal experience as an ALS family member and caregiver. “Sometimes, if needed, I share my own personal experience, encouraging patients who are considering a feeding tube, wheelchair or using a walker,” Karen says. She’s found that some ALS patients struggle to open up at first, but upon talking to her, they realize they can trust her with their situation. In the 25 years since her husband’s diagnosis, Karen has seen a lot of progress on the ALS front. She is optimistic about where research is headed but still remembers what it was like for Mike to receive his life-changing news. “First and foremost, seek an ALS center. It makes a big difference for our patients, and you will receive quality, multidisciplinary care to help manage this disease. The second thing to remember is that you may look and see there is no cure, but we can treat this disease. We may not be able to cure it yet, but we can treat it. We can manage the symptoms and we have the tools and multidisciplinary centers to truly make ‘living with ALS’ a reality.